Every fall I pot up some Spring flowering bulbs to coax into early bloom before winter truly departs. One frequent question I get when teaching a class on this subject is, "Can I force the bulbs a second time?" The common wisdom is to say no, that forcing so depletes the bulbs' food reserves that even planted out in the garden they might take a year off and not flower the following year. Last Spring - that's Spring 2011 - I had some pots of hyacinths, daffodils, and tulips that had been coaxed into early bloom. I moved them outside, fully intending to plant them in the garden. Good intentions and all that, and a few of the pots just sat around all summer. Autumn came, then late autumn, and I prepared to dump the pots. Only to find out that the bulbs were making roots. So I moved them into the garage. It gets chilly there but doesn't freeze. Then little green shoots began appearing. And growing larger. I moved them into my greenhouse which is only heated to 50° Fahrenheit. I figured they'd grow and this Spring I'd plant them in the garden. And then they flowered! 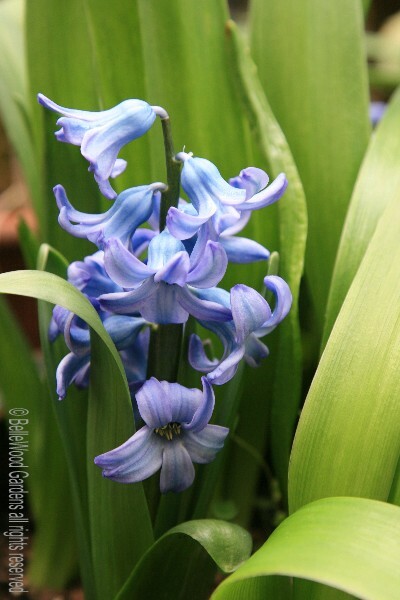 Two pots of hyacinths, including this delightful 'Delft Blue', one of my favorites. 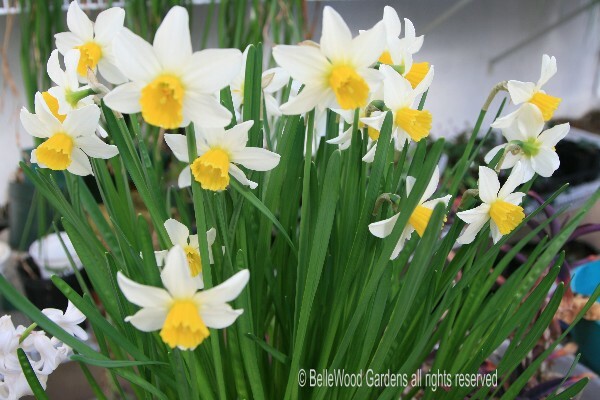 Narcissus 'Jack Snipe' - and it is clear that it's not just an odd bulb here or there of the 9 bulbs in the pot. 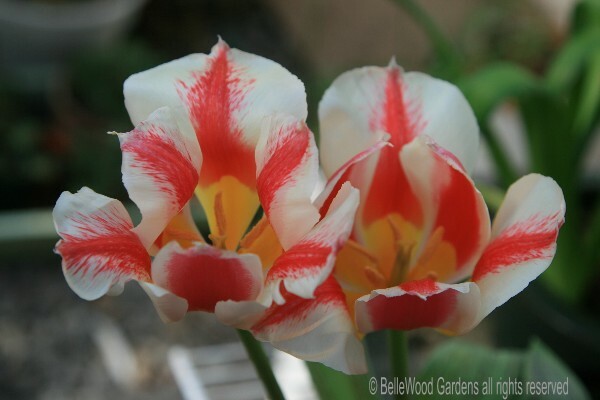 And even two pots of Tulipa greigii 'Coors' - though I admit not every tulip bulb flowered. What an interesting discovery. Of course I do have bulbs that spend their entire lives in pots, bulbs such as a Cyclamen persicum that's spent the 35 years of its time with me in a pot. However I have no other choice as it cannot survive outdoors in our climate, and more importantly, I believe, it is not brought into unseasonable bloom. Supposedly the issue with winter-hardy, Spring-flowering bulbs such as hyacinths, tulips, and daffodils is that forcing into early bloom is a one-off event. Clearly that is not so. Now the question is what to do with these potted bulbs this Spring. Shall I try for a third season, or plant them out - what do you think?